When you have a home, you try to keep it as neat and clean as possible, both inside and out. As homeowners, you realize that the exterior of your home requires updating and maintenance work to keep it looking as good as possible. Yet, even though the home is in fine condition, you may decide it is time to shake things up a bit. One way of accomplishing this is through replacing your windows. While residential window replacement companies are common, it is important you find one that can offer you exactly what you need. These are the initial steps. You can move from there into determining other factors that are essential before you make a final decision. Depending upon the reason or reasons why you want to hire a residential window replacement company, you may be forced with the old needs versus wants dilemma. We have all been there. We have a certain idea of what we want our new windows to look like. We can just see that large bay window replacing our straight normal one. Yet, is this practical? Is this what we need? Can we afford this change from one type to another? 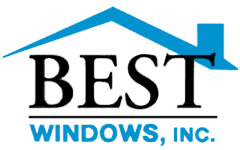 If you talk to a professional residential window replacement company such as us at Best Windows Inc., you should be able to discover the facts. A reputable company, such as our staff represents, will provide you with all the information you need to make certain you understand what the window replacements will cost. The company will also provide you with the details on what changes need to be made and if they are viable. In this way, you can make an informed decision on the matter. 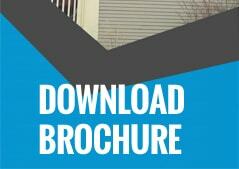 If you need or want to replace your windows, be sure you do not settle for just any company. It is important that the job be done correctly – with skill and care. This requires you do your research on the topic. Consider your needs and wants as well as what the company offers. By carefully checking the pros and cons of each residential window replacement company, you should be able to narrow down the choices and find the right one for the job which, in the Chicago area, is us here at Best Windows Inc.